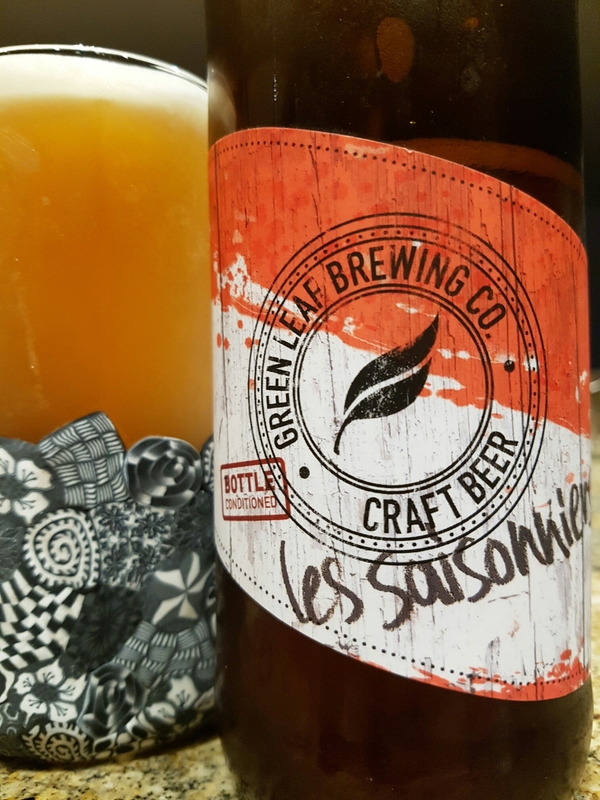 Les Saisonniers – Green Leaf Brewing Co. (North Vancouver, BC, Canada) | Justintoxicated. 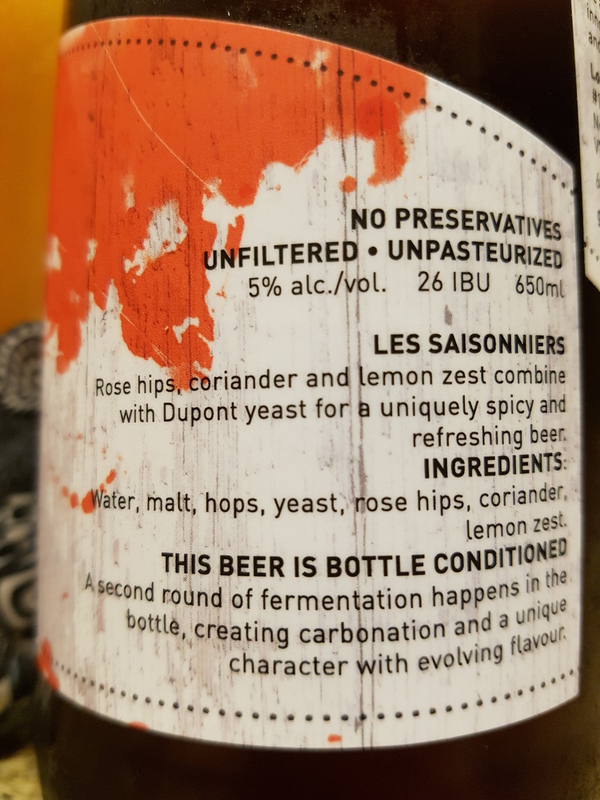 Visual: Bottle conditioned, pours pale light copper brown with a decent 1cm bubbly head, thick ringed retention, torrents of clustered CO2 streams. Finish: grainy barley malt exhale, lemon zest, tart coriander dry roughness. Summary: Semi-interesting flavours, decent body but not particularly liking the overly aggressive pukey sour nor the palate rough finish. Mildly interesting.